IQ Lolly is a series of sliding puzzle. This series is a variation of another sliding puzzle named Tri-Trick, which was an award winner in 2001 and was released in 2009. The game design of IQ Lolly was inspired by a question: To make a puzzle swapping 2 groups of three blocks at a time, what is the minimum number of blocks and the minimum number of places needed? The answer is eight blocks and five places. This is the fundamental design concept of IQ Lolly. If simplicity is not considered, it's not that hard to design a challenging puzzle. But we believe that simplicity is definitely an important part of a good puzzle. 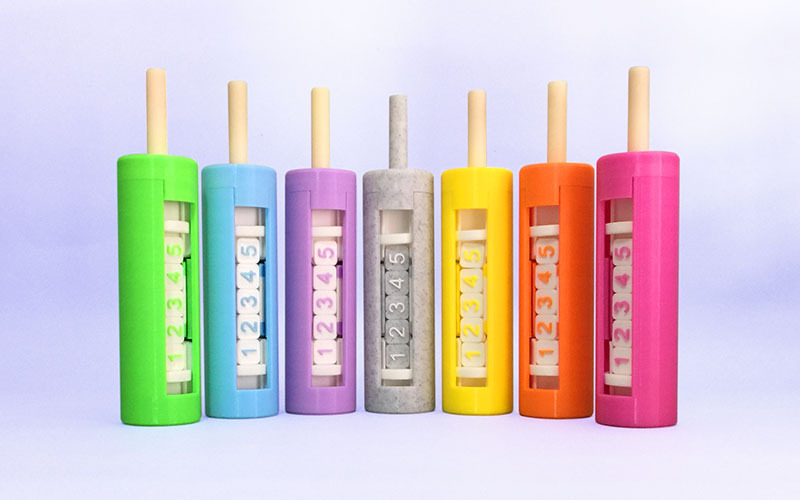 IQ Lolly is a puzzle based on a very simple rule, plus very easy operation. Even kids can start enjoying the game in no time. But don't let its simplicity fool you, IQ Lolly is a challenging puzzle which will give you lots of fun!